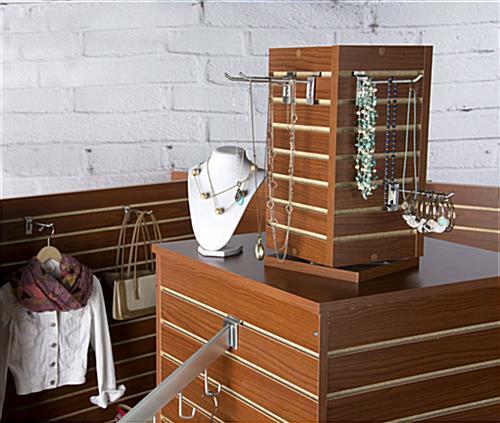 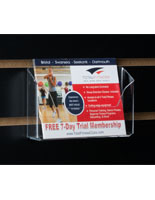 Bring a different element to your display fixture arsenal with this countertop slatwall. 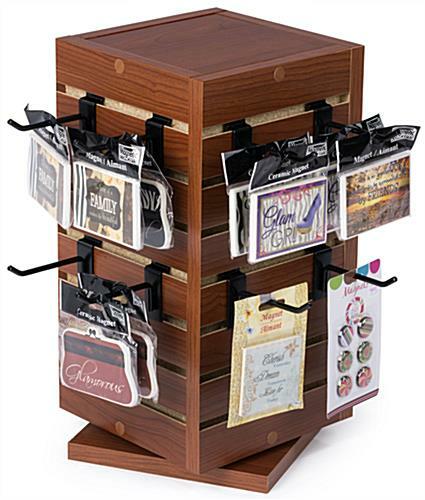 With its 4 sided design, the tabletop cube allows you to promote smaller merchandise that can get lost in typical floor standing gondolas. 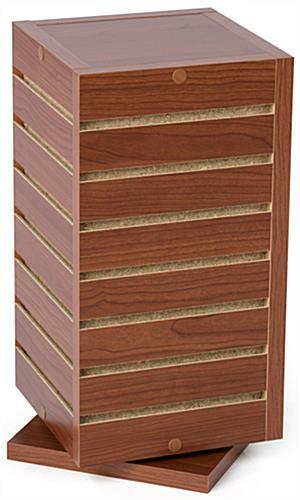 The cherry wood slatwall fixture features 7 channels per side for a total of 28. 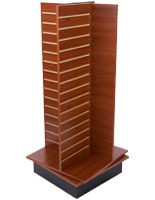 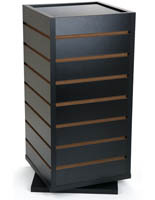 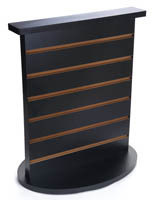 The tabletop cube has a rotating base that allows customers to view merchandise with ease. 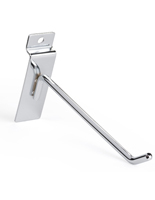 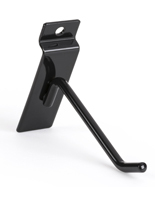 Compatible with most standard peg hooks, you can customize your slatwall fixture to promote your products in your own unique way. 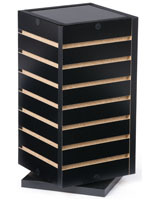 Purchase this unit today for your smaller accessories. 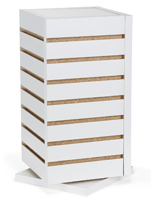 8.3" x 17.5" x 20.0"